Most children respond to music from their earliest days; parents’ rhythmic crooning soothes, at least momentarily, a newborn. A silly song or jumpy nursery rhyme can divert an upset toddler. A song with a strong beat can help a preschooler march along beside you as you try to finish a grocery trip. Up until about age 13, a long car ride can be made more pleasant by singing all these songs and more. We are born with music inside us, and one of the pleasures of being a parent is observing and supporting your child’s expanding musical world. 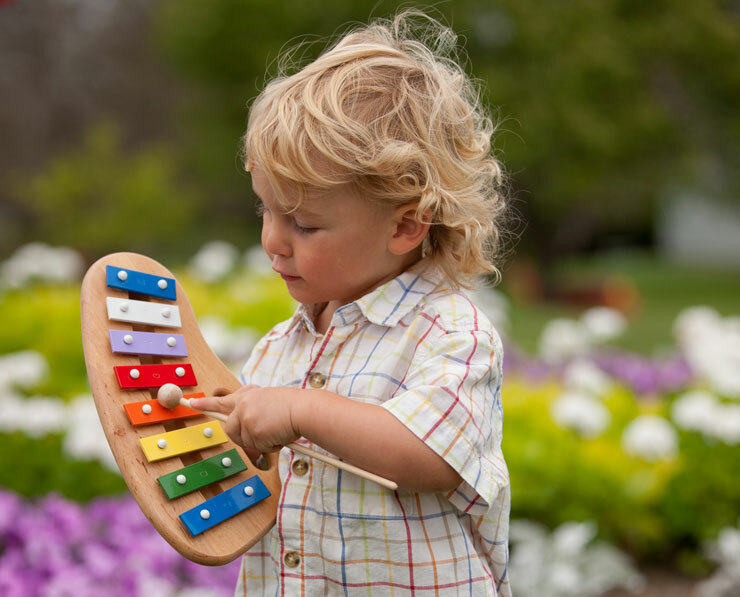 You can provide instruments to help foster your child’s musical exploration. There are varying theories on exactly what sort is best for children in general, but you should watch your own particular child and follow their lead. A baby who bangs on pots might be intrigued by the differing sound of a small drum. This gives them a chance to experiment and differentiate with how different sounds can be made. Bells and varying shakers give young musicians another way to experiment with sound. These experiments can then lead to playing with rhythm—the rhythm of language or the rhythms of favorite songs. 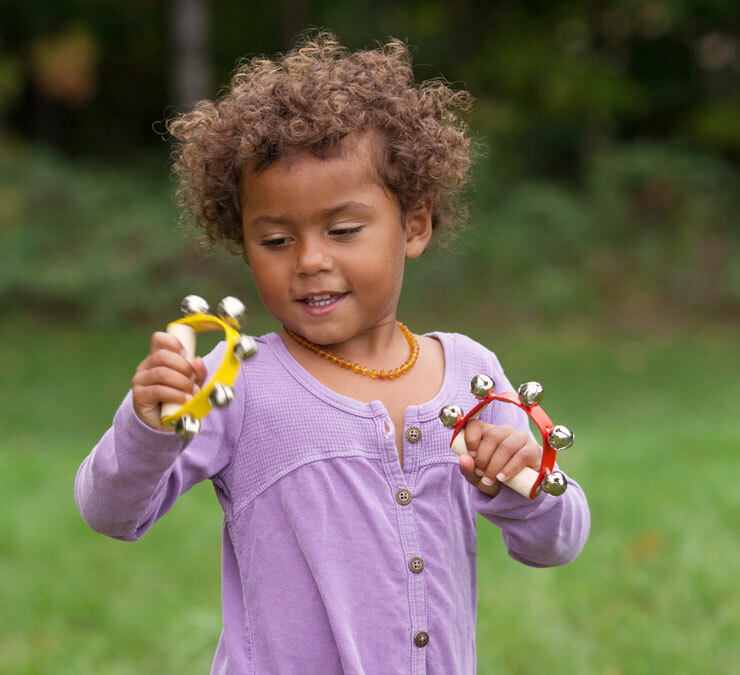 Toddlers and preschoolers enjoy using their entire bodies to find the beat of a nursery rhyme; a drum, bells or a shaker can enhance this experience. Tonal instruments are another way for children to wander through the world of sound creation. Both Carl Orff and Rudolph Steiner advocated a pentatonic scale for children’s musical education, as they first discover their musical selves. The pentatonic scale is a simpler scale consisting of five notes in an octave, rather than the seven note scale you might associate with western music. Cultures all over the world in Asia, Europe, Africa and the Americas have used a pentatonic scale in a wide range of music. Orff believed it made improvisation easier, as there can be no harmonic “mistakes” in a pentatonic scale. In his method of music teaching, other notes are gradually added until the more familiar diatonic scale is created. Xylophones and bells are instruments associated with Orff musical education. In Waldorf education, music is seen as an inherent part of being human. In early schooling, the hope is to awaken the music within the children, and the pentatonic scale is believed to honor the openness of the young child. 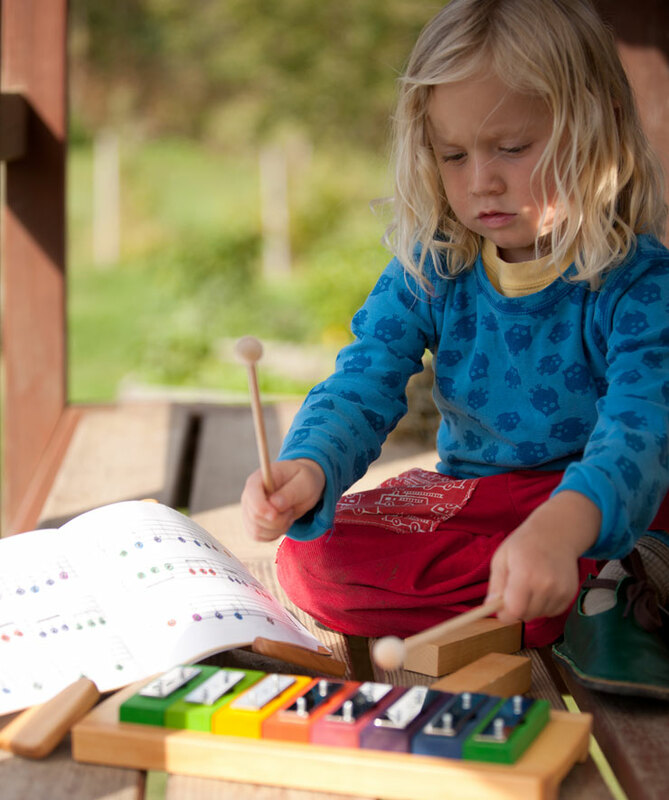 The pentatonic flutes, lyres and glockenspiels associated with Waldorf music education often have an airy, open feeling in their tonal quality that reflects the Waldorf belief of the child’s development in the early grades of school. For your own home, pentatonic children’s instruments tend to have pleasing tones that are less jarring than, say, a penny whistle. Your children can noodle around with rhythm or wind instruments tuned to this scale and quickly create music that pleases the ear. 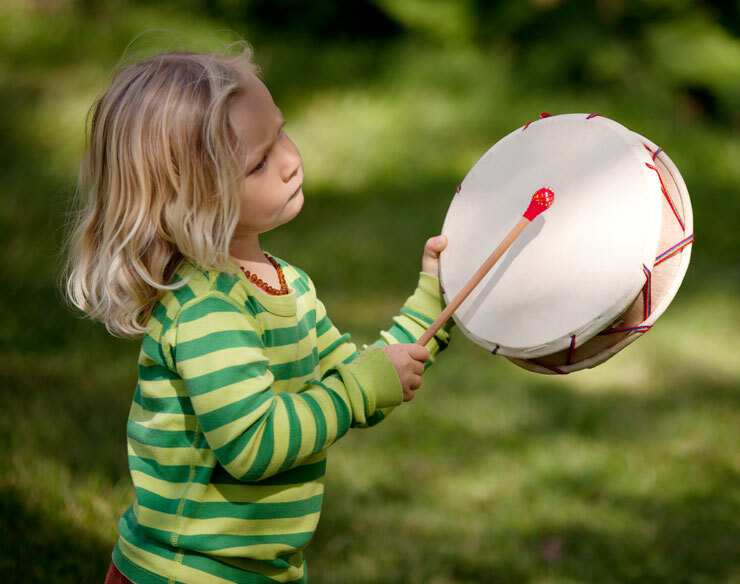 Ultimately, it is experimentation with instruments—from pots and pans to flutes—that will awaken your children to the pleasure of making their own music. Yes, yes, yes! Your emphasis on music is helping make the world a better place! I love this and couldn’t agree more. Also, the little (long haired) blond boy in the last two photos is my son, years ago! He now plays Suzuki violin… still loving music.